Oliver Bryant is a highly experienced GT driver and since becoming Autosport’s “one to watch” in 2004 he has competed in over 570 races, many at an international level and has notched up 166 wins in a variety of categories including the British GT Championship, Blancpain Endurance Series & high profile historic events including the Goodwood Revival, Classic Daytona 24 Hour, Silverstone Classic & Spa 6 hours. Dailysportscar’s “rookie of the year” in 2005 impressed in every car he raced earning him “Rising Star” patronage of the British Racing Driver’s club in 2006, followed by full membership in 2009. 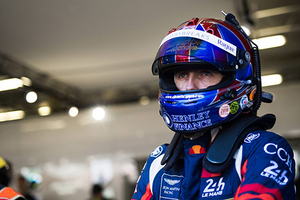 Career highlights include 4th place in the British GT championship in 2005 & 2006, 3rd place in the championship in 2013 and 3rd place in the Blancpain Endurance Series in 2014. Spa 24 hour Pro-AM podiums in 2014 & 2015 were followed by his Le Mans 24 hours debut in 2016 with a 9th place finish in the competitive GTE-AM class. 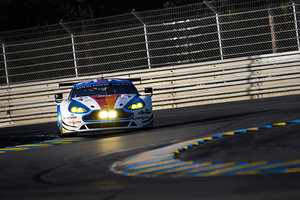 An even stronger finish at Le Mans followed in 2017 with a 4th place GTE-AM finish at the wheel of the Beechdean Aston Martin Racing Vantage GTE. Oliver’s goal is to win the Le Mans 24 hours and is regarded by teams and the motorsport press in the UK as truly competent driver with pace, race craft and maturity beyond his years; all of which is vital in endurance racing where reliability and consistency are as important as outright pace. Oliver is a highly marketable young racing driver with the ability to promote brands and companies. In 2013 Oliver worked as a brand ambassador for BMW UK and has ongoing relationships with Bremont Chronometers, Close Brothers Property Finance & Duncan Taylor Scotch Whisky Ltd.
Oliver is also an ambassador for the Sean Edwards’ Foundation that works to improve safety standards for drivers throughout motorsport. Oliver is also a well-established driver coach working with other young drivers starting out in the lower ranks of GT racing. Highly active and successful in historic racing – race winner in every category. *Goodwood 75MM P2 Gerry Marshall Trophy Race- Chevy Camaro, Goodwood Revival 3rd Kinrara Trophy- Jaguar E-Type & pole position & 2nd place Sussex Trophy-Lotus XV. Pole & retired from lead RAC TT - AC Cobra. * Goodwood 74th Members’ Meeting pole, win & fastest lap Gerry Marshall Trophy Race – Chevy Camaro. Blancpain Endurance Series GT3 Pro-AM. BMW Z4 with Ecurie Ecosse. 3rd place Spa 24 hours. 5th in the championship. *Qualified and finished P2 Goodwood RAC TT AC Cobra. Blancpain Endurance Series GT3 Pro-AM. BMW Z4 with Ecurie Ecosse. 2nd Place Spa 24 hours. 3rd in the championship. *Pole position Goodwood RAC TT AC Cobra DNF whilst leading race. *P2 Classic Daytona 24 hour. British GT Championship GT3. BMW Z4 GT3 with Ecurie Ecosse. 1 win, 2 x third place. 3rd in the Championship. * Pole position Goodwood RAC TT AC Cobra & P3 in the race. 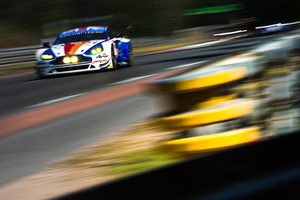 Spa 24 hours with Ecurie Ecosse. Aston Martin DBRS9. 9th in Pro-Am. 16 wins in various others series. VLN Series. Class win at the Nordschleife.